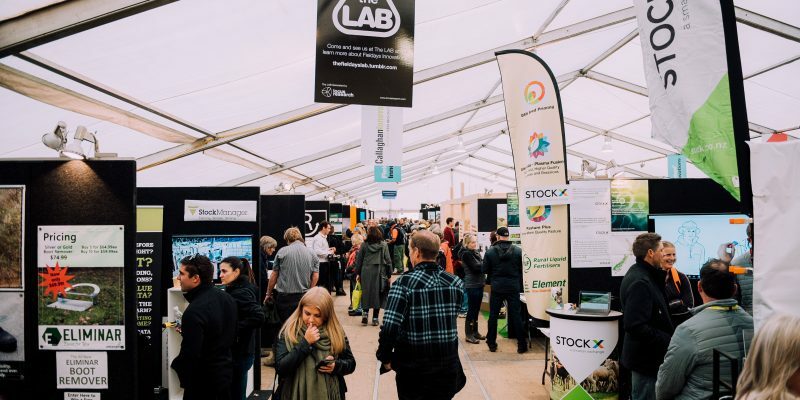 The Fieldays Innovation Awards is the premier launch pad for backyard inventors and start-up companies through to established manufacturers and distributors to connect with the primary industries. 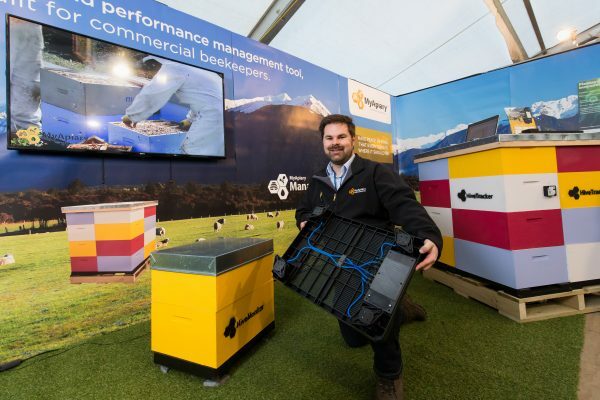 Fieldays connects agri innovators with corporate decision makers, media and investors and provides the perfect platform to test your innovation with a highly targeted audience. Our goal is to facilitate face-to-face connections and drive innovation together for the advancement of agriculture in New Zealand. The Fieldays Innovation Awards provides you with profile and promotion of your innovation, networking opportunities, and access to exclusive support and advice from some of New Zealand’s most respected organisations. Whether you’re entering to launch a product or validate your invention with a highly targeted audience, the Fieldays Innovation Awards is the best platform to take your innovation to the next level. Applications are now open and will close May 1, 2019. All award entrants have access to business experts and influences across various stages of the product launch, from design and development, to IP, finance and commercialisation. Award winners also have access to the sought after logo of the Category Awards to use in their promotion. With a range of award categories, and a competition structure that supports Kiwi ingenuity at all levels, Fieldays has seen many Kiwi innovations go on to achieve extraordinary success both nationally and offshore. Prototype Grassroots Award – offering an opportunity for the humble Kiwi innovator to showcase ideas, design and prototypes that have the potential to improve rural practices. Prototype Established Award – recognises new product development and offers established companies the opportunity to give their new product and process development critical exposure. Recognising agribusiness innovations being launched to the New Zealand market by a small to medium size businesses. Designed to recognise businesses launching products or services globally in two or more international markets. The Fieldays Innovations fund totals over $60k, including cash prizes, the value of support from our generous sponsors and exposure through the Fieldays media, app, programme and website. Additional to the category awards all entrants have the chance to take away one of the following sponsored awards. Award winners are also given the sought after Fieldays Innovations Awards logo that they can use to promote their successes. The Innovations lounge is an exclusive space for entrants to network, collaborate, enjoy business to business meetings, attend industry talks and brainstorm. The Gait International team with over eighteen years’ experience in helping businesses to develop and produce their products, will be available to give guidance and mentorship. They combine design for manufacture and value engineering with specialist supply chain management solutions to deliver world class engineered products globally. In the lounge, you will have access to experienced insights into the highs and lows of the hardware development cycle, in-depth knowledge on how to design your product for manufacture, supply chain management and ensure you have your high quality hardware products ready for your customers when you need them. 1. What if my innovation is still in the development stage? Can I still enter? Yes, you can – and we encourage you to! You are best suited to enter Prototype Innovation category where you can showcase ideas, design and prototypes that have the potential to improve rural practices. 2. What can I do if I’m struggling to find a category to fit into? 3. I’ve entered the Awards before. Should I / Can I enter again? Yes! We love seeing businesses evolve each year. However, you will need to enter a different category or have made significant changes to your innovation. We have two categories that are great for returning entrants – the International Award category and Launch NZ Innovation Award category. 4. Can I include a video in my entry? Absolutely! It is not a criteria requirement but if you would like to show us your innovation and personality upload a video with your application you are welcome to do so. 5. Can I show you my product or service? If you’re not sure how to explain your innovation, you can get in contact with our Innovations Manager Gail Hendricks on +64 7 843 4497 or gail.hendricks@nznfs.co.nz and Gail will be happy to help. 6. Who can help me with my entry? 7. By entering the awards, do I automatically get a stand in the Innovation Centre? Yes, you do. Your stand space will measure 3m long x 3m wide x 2.4m high. The walls are a black front runner walling system which is velcro receptive and the inside of the Innovation Centre marquee has a wooden floor. 8. Do I have to enter the awards to get a stand in the Innovation Centre? Yes! 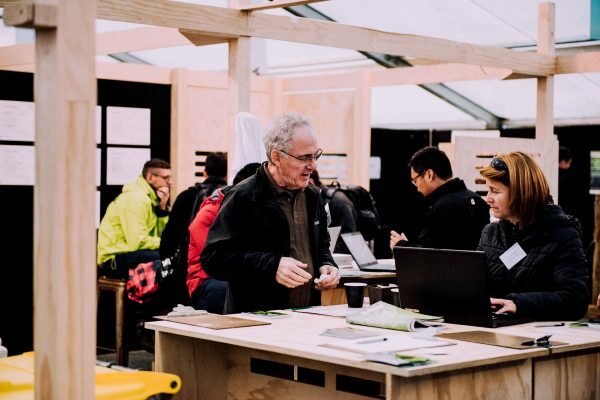 The Innovation Centre is a space that is front and centre in the heart of Fieldays, specially designed to showcase Innovation in New Zealand’s primary industries. 9. Do I have to be at my stand all four days? Yes, we want to make sure that your innovation is presented in the best possible light by engaging with as many Fieldays visitors. 10. Do I have to pay extra to have a stand in the Innovation Centre? No, the site fee is included in your entry fee. 11. What is included in my stand? There is general lighting throughout the marquee and each indoor site is provided with one spotlight located on one of your partition walls. Every site will also be supplied with 10amps, single-phase power. Tables, chairs and stand furniture are NOT included in your entrant price. Site furniture may be hired from Exhibition Hire. 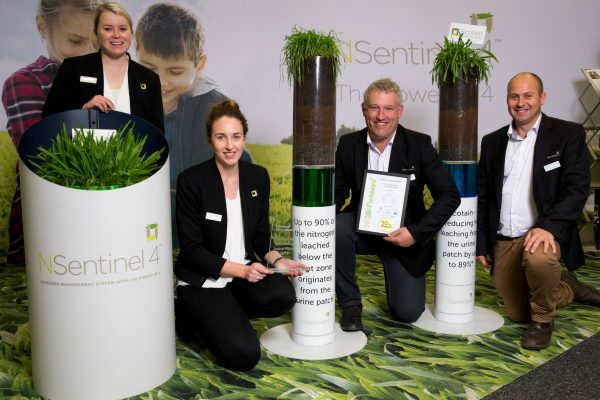 1.1 The Fieldays Innovation Awards (Awards) are open to individuals, organisations or groups. Individual entrants must be either New Zealand citizens or permanent residents to qualify for entry, and organisations must be New Zealand registered and have a place of business in New Zealand to qualify for entry, unless NZ National Fieldays Society Incorporated (Fieldays) exercises its discretion to issue an exception to enable an overseas entrant. 1.2 Notwithstanding the above, the Young Inventor of the Year Award is only open to individuals under 25 years of age. All entrants under the age of 25 will be considered for this award. 2.1 Entries must be received in full online through the online entry form on the Fieldays website by the deadlines stipulated on the form. Fieldays is not responsible for inaccuracies in the details which are submitted by the entrants. 2.2 Late entries may not be accepted. Fieldays is not responsible for entries which are lost, damaged, corrupt, inaccessible or late due to computer, network or telecommunications failure. 2.3 Award finalists will be contacted and invoiced when the application is accepted. Final confirmation will be sent up on receiving payment. Winners of the Grassroots and Launch NZ Awards will be presented at the Innovation Awards breakfast on the Thursday of Fieldays at a venue nominated by Fieldays organisers. The International Innovation Award will be announced at the awards evening on Thursday of Fieldays at a venue nominated by Fieldays organisers. 2.4 Fieldays reserves the right to change or otherwise extend the timeline outlined in this clause without notice, including the dates of entry, the announcement of finalists and the Awards evening. 3.1 By entering, entrants accept these Terms and Conditions and agree to be bound by them, and to comply with the reasonable instructions of Fieldays. 3.2 Entries must have a strong agribusiness element, and the application must be accompanied by photographs of the innovation that is being entered (Innovation) sufficient to meet Fieldays minimum requirements. 3.3 Fieldays is under no obligation to accept any entry. If Fieldays has concerns regarding the innovation status of all or part of an Innovation it reserves the right to refuse entry on this basis alone, without having to provide proof of this concern to the entrants. 3.4 Entrants must pay an entry fee as specified by Fieldays if their entry is accepted for consideration for the Awards. 3.6 Fieldays must be satisfied that an entry is in the correct category before judging begins. Fieldays have the right to move entries into other categories if they believe they have been entered in the incorrect category. 3.7 The entrant agrees to take full responsibility for the content of the entry and they further agree to complete hazard identification in accordance with Fieldays requirements. 3.8 Entries that do not comply with these terms and conditions may be disqualified. Any entries that are illegible or incomplete, or contain offensive, fraudulent or unlawful content may be disqualified. Entries must not invade the publicity rights or privacy or any person, living or deceased, or otherwise infringe upon any individual’s personal or proprietary rights. 3.9 Fieldays reserves the right to exclude entrants, or withhold or request return of prizes, for violation of any of these terms and conditions, or if Entrants are behaving in a manner deemed unprofessional by Fieldays. If any amount is unduly paid to a winner or if recovery is justified under these terms and conditions, the winner undertakes to repay Fieldays the sum in question on whatever terms and by whatever date it may specify. 3.10 Fieldays reserves the right to cancel the Awards or individual award categories within the Awards at any time for any reason. 3.11 Fieldays decisions are final in all matters relating to this competition and no correspondence will be entered into. 3.12 All entrants will be considered for the Sponsor Awards. The winner will be decided by the sponsor in liaison with Fieldays and the decision will be final. 5.1 Entrants agree to set up the innovation at the site allocated to them by Fieldays for the innovation within a timeframe prescribed by Fieldays, and agree to dismantle the innovation, remove any rubbish and debris, and restore the site to its original condition (fair wear and tear accepted) within the timeframe prescribed by Fieldays. 5.2 Entrants agree that only the innovation may be displayed at their site, and no other innovations may be displayed. If it is impractical for the innovation to be displayed, the entrant must notify Fieldays as soon as possible, and instead use other means of displaying the innovation, such as photos, models and prototypes, in a manner approved by Fieldays. 5.3 The innovation and site display must not exceed the site area allocated by Fieldays, and must not protrude above 2.3m high. If additional space above 9m2 is required, and is allocated by Fieldays, additional fees may apply. Any power required above the provided amount will be charged to the entrant. Entrants agree to pay such additional fees if applicable. 5.4 Fieldays reserves the right to reallocate space and sites provided to the entrants at any time for any reason. 5.5 Fieldays may impose other location and display requirements on entrants within the overall context of the Awards. 5.6 Prototype entrants are not permitted to sell any products from their site, and must not conduct any promotional activities other than as approved by Fieldays. 5.7 Entrants must notify Fieldays if any noise, fumes or other hazardous emissions of any nature may be omitted from their innovation, and at all times make all efforts to minimise the impact of these. 5.8 Entrants must not use any loudspeakers or amplifiers on their site, any of the other or surrounding sites, or anywhere on Fieldays premises. 5.9 Entrants agree to abide by all health and safety rules, laws and obligations in relation to the set up and dismantling of their site, and in relation to the Awards for the duration of the Awards. 5.10 If an entrant is disqualified for any reason, the entrant must immediately organise for their site to be dismantled, any rubbish and debris removed, and the site restored to the condition in which it was before the entrant displayed their innovation (fair wear and tear accepted), must return any property of Fieldays, and must leave the site and Fieldays premises. 6.1 By entering, all entrants, finalists and winners agree to allow, and consent to, Fieldays’ use of, and right to reproduce, publish and if applicable, edit, their names, photographs, images, all personal and other information (including general locations) and any videos and other audio-visual, material and documents in any electronic medium, or written material and documents submitted by the entrants, finalists and winners and in relation to the Awards, for purposes of Fieldays publicity, promotional and news purposes (including use in printed publications, editorial and PR activities, on internal and external websites, and any electronic medium whatsoever) related to the Awards. Any use by Fieldays shall be entirely within Fieldays discretion and Fieldays shall be under no obligation to use this material, documents or information. 7.1 Entrants must own the intellectual property rights, including the copyright in, or have permission to use and exhibit, the innovation and any materials submitted for the Awards. Fieldays will not be responsible for breach of any copyright or other third party intellectual property and proprietary rights by the entrants and/or the consequences of same. 7.2 By entering, each entrant hereby warrants that they own or have permission to use and exhibit the intellectual property rights in the innovation, and exhibit the innovation and any materials submitted for the Awards and in accordance with the requirements of the Awards, and that the entry does not or will not infringe any third party’s intellectual property and proprietary rights or rights or rights of publicity or privacy. 7.3 Other than as conferred by these Terms and Conditions, Fieldays will not acquire any ownership in the innovation or the intellectual property of the innovation or any materials submitted, and all such rights, title and interest will remain the property of the entrant. 7.4 All intellectual property owned by Fieldays will continue to be owned by Fieldays, and entrants must not do anything, or allow anything to be done, to jeopardise Fieldays ownership of such Intellectual Property, and must not use Fieldays intellectual property without the prior written consent of Fieldays. 8.1 By entering, entrants agree to abide by these Terms and Conditions and the decisions of Fieldays and release, indemnify, and hold harmless Fieldays and their respective agents, representatives, officers, directors, and employees from and against any injuries, losses, damages, claims, actions, or any liability of any kind resulting from or arising from participation in the Awards or acceptance or usage of an award, to the extent of the entrants unlawful and/or unauthorised acts and/or omissions. 8.2 Entrants agree that these Terms and Conditions, the Awards and entry to such is governed, interpreted and enforced by the laws of New Zealand and by participating, all entrants submit to the non-exclusive jurisdiction of the Courts of New Zealand. 8.3 Without otherwise limiting its rights, Fieldays reserves the right to seek, to the fullest extent permitted by law, damages and other remedies from any person attempting to damage any website or undermine the legitimate operation of the Awards. 9.1 Entrants agree to submit any grievances or complaints in writing to Fieldays in the first instance, and to give Fieldays the reasonable opportunity to consider and/or resolve the complaint. 9.2 Fieldays reserves the right to amend these Terms and Conditions, or adapt and adjust the entry criteria for the categories of the Companies, without notice in its sole discretion. Such decisions shall be final. 9.3 For any determination required or stipulated in these Terms and Conditions Fieldays is the final arbiter to the fullest extent permitted by law. 9.4 Any breach of the replies on the Innovation Award Application Form may result in the removal of your innovation from the show.